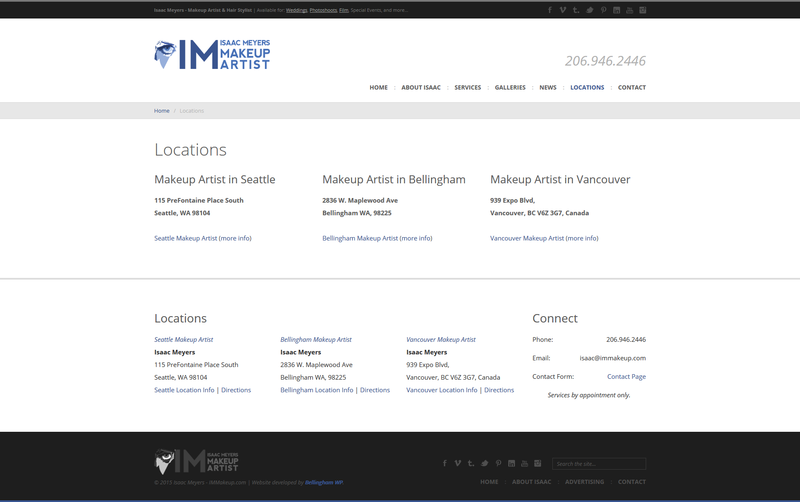 IMMakeup.com was developed for Isaac Meyers, a Bellingham based Makeup Artist. 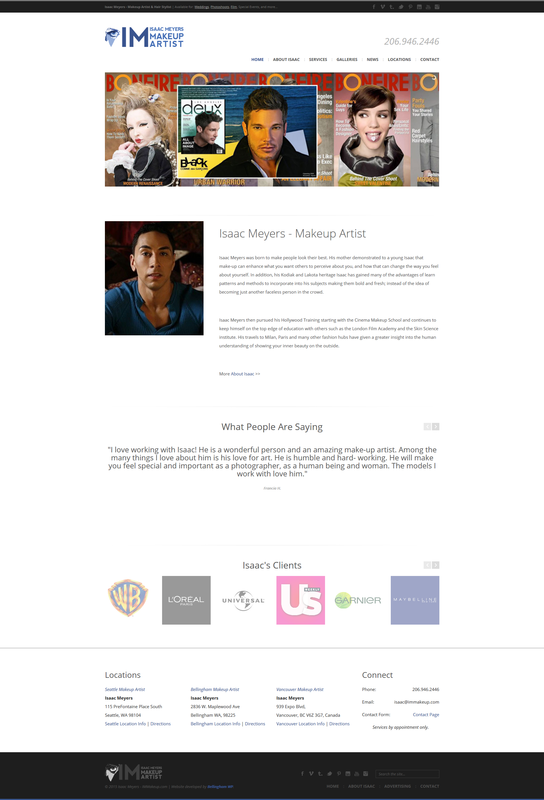 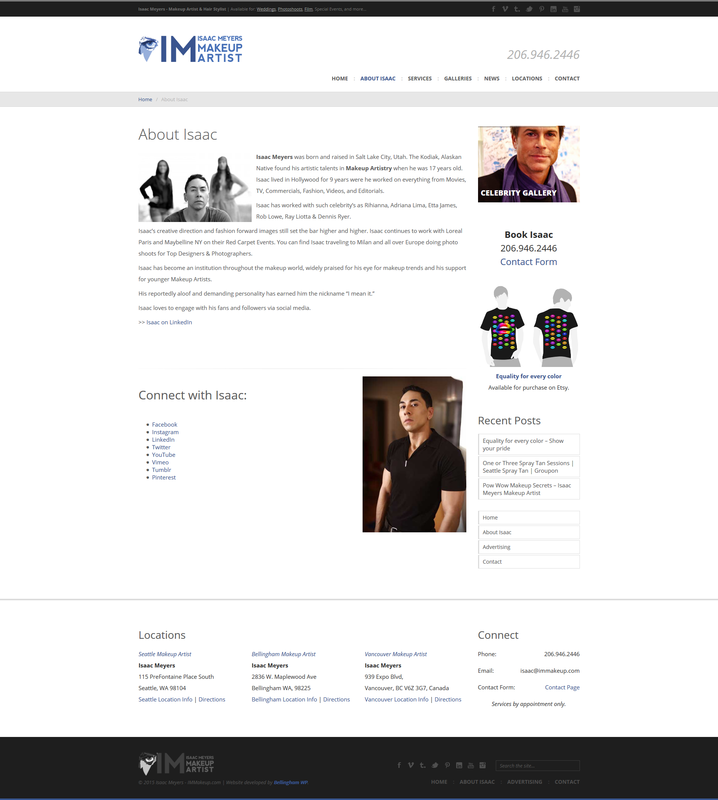 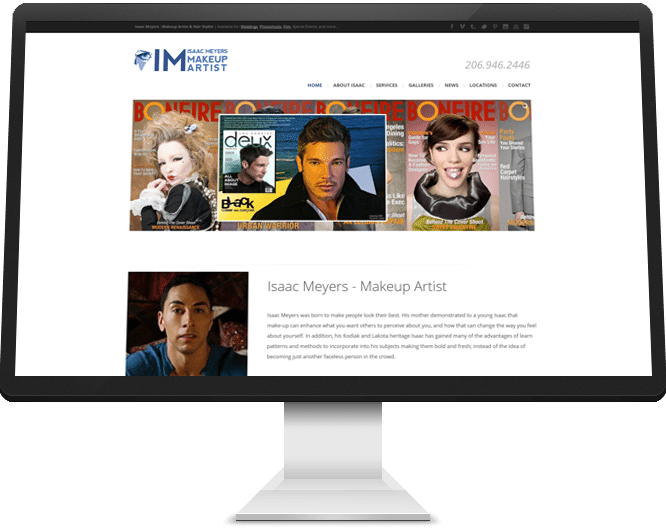 Isaac Meyers’ website (IMMakeup.com ) was developed to market his Makeup Artistry as well as his other services. 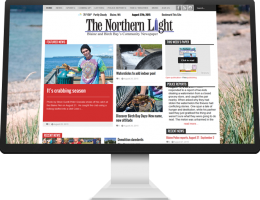 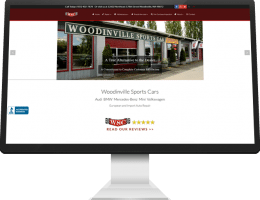 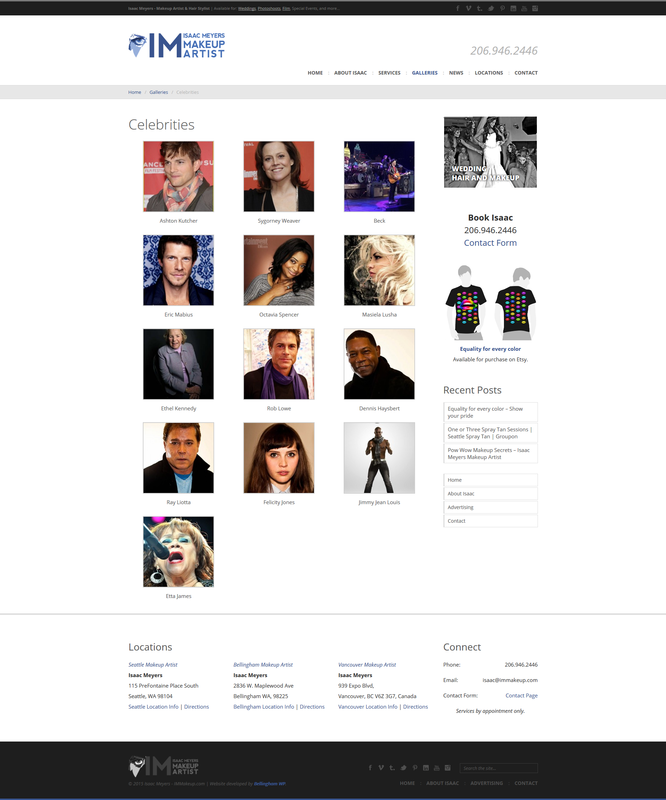 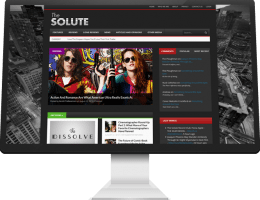 It features several image galleries, prominent contact information, online service purchasing and payment, and an active news blog.